Michael Smith, one of America’s premier interior designers (and the one chosen by First Lady and President Obama to redecorate the White House family quarters), gave a fantastic lecture on Friday at the Chicago Botanic Garden’s Antiques and Garden Fair. 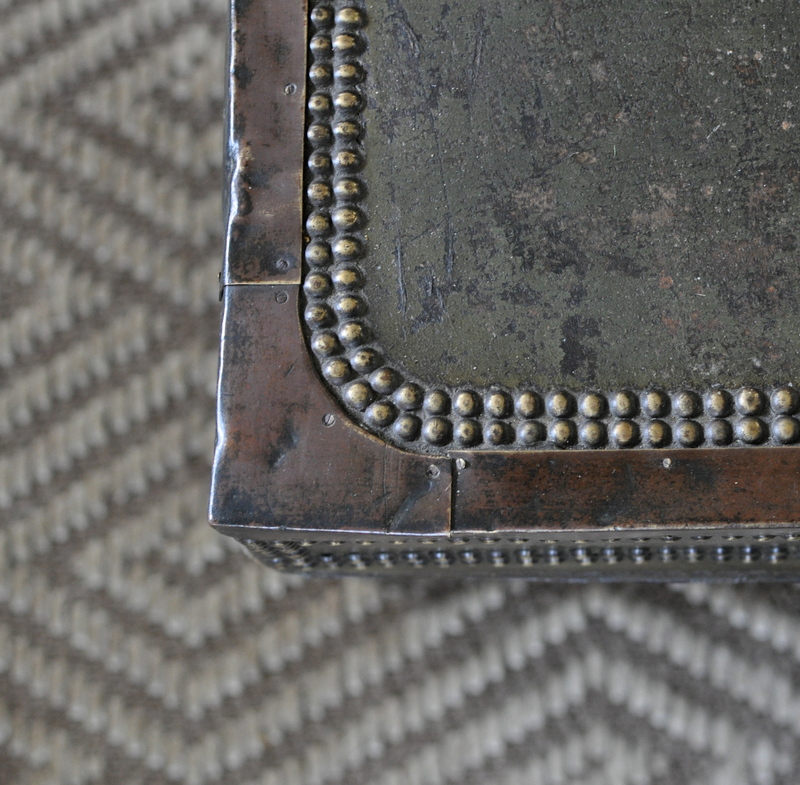 I’ve been a huge admirer of Smith’s work, particularly his ability to layer textures, ages, and cultures seamlessly throughout his interiors as well as his extraordinary attention to detail, but given his success and his rolodex of beyond A-list clients, I had preconceived notions of him taking himself a bit too seriously. Right? Wouldn’t you think? I couldn’t have been more wrong, and feel comfortable saying that everyone in the room fell in love with him and secretly wished he was their best friend, present company included. Not only is Smith thoroughly knowledgeable about art, history, and architecture (which I expected) and wickedly funny (which I did not expect), he is also disarmingly genuine. Smith’s new book, available May 7th. A big part of Smith’s lecture revolved around the upcoming April 23-24th Christie’s sale of a breathtaking Palladian villa he designed on the largest privately held piece of California coastline (click here to view the auction catalogue). He also documented this phenomenal home in the above book Building Beauty (click here to pre-order, available May 7th). Smith spent half a decade working on this house, searching the globe for treasures both humble and grand to fill the vast space. Upon completion, his clients inhabited the home for a short time until someone knocked on their door and offered them 70 million dollars, which they accepted. Thus the Christie’s sale. If you have the time, you really should look through the catalogue. Sure, there are exceptional pieces with exceptional auction estimates to match (including a to-die-for Helen Frankenthaler) but there are also several lovely objets d’art estimated at less than $1000. They may not sell for less than $1000, but a girl can dream. After his talk, my friend Cynthia McCullough (who happens to be a brilliant designer in her own right) and I walked around and took in the booths of antique dealers from the U.S. and Europe. 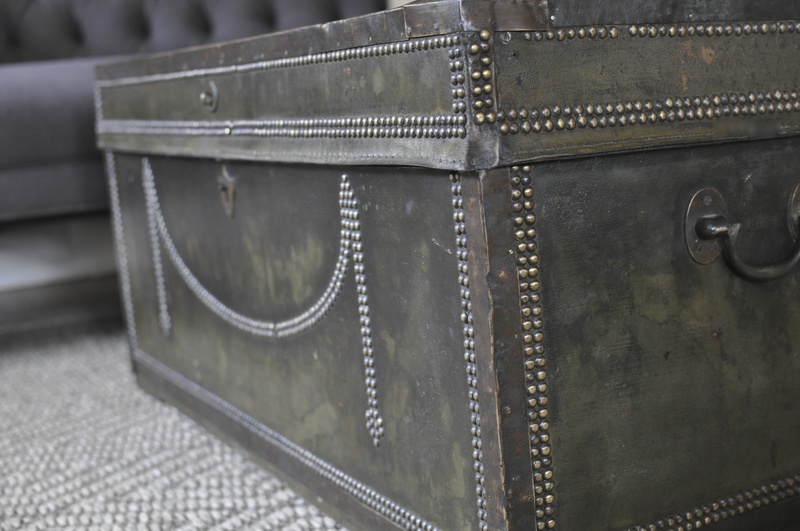 We almost lost our minds when we spied a vintage leather trunk trimmed in brass, painted one of my favorite colors, with the most outrageously perfect patina I have ever seen. I debated for less than a minute, knowing if I went home without it that I’d regret it for the rest of my life. 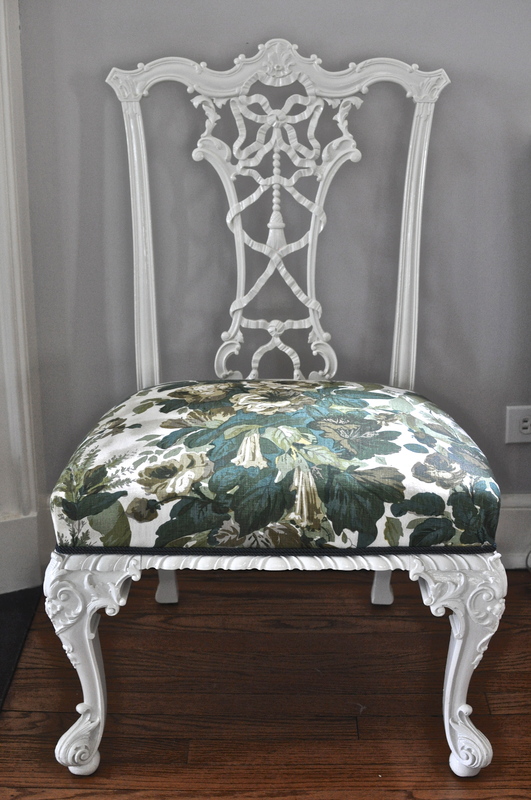 It has taken up residence in the living room, adjacent to my antique Chippendale chairs that we had upholstered serendipitously in Michael Smith’s Grace fabric in Willow a few years ago. 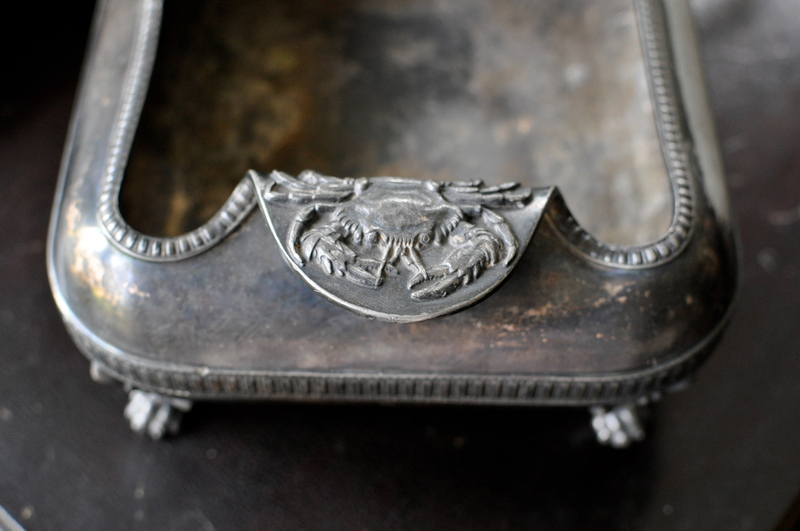 This is my other treasure from the antiques fair, a great little crab-handled cachepot. How could I resist?